You are here: Home / Great Deals / Christmas Deals / FREE Cannon Fleece Throw! Sears has this Cannon Fleece Throw on sale for $3.99 (Reg. $10) and you can get back $4.05 in Shop Your Way points, making it FREE! 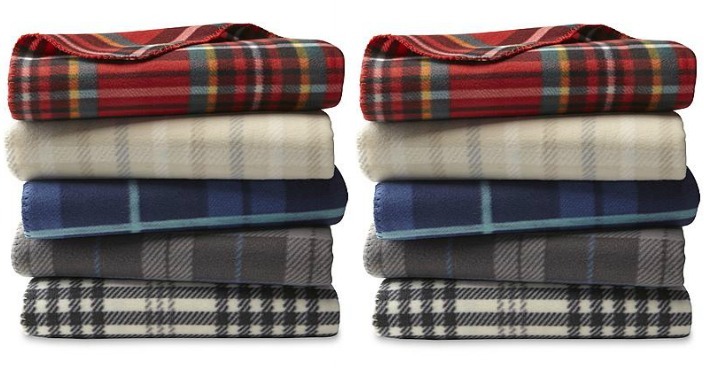 Keep the big chill at bay this winter with this luxurious plaid Faux Fur throw from Cannon. Silky smooth against your skin, this velvety throw features thick plush cozy fabric with stitched edges for no-snag durability. Add flair to your living room or bedroom while keeping warmth and comfort in reach with this designer throw.